Home > Comet Clutches and Parts > Comet 219563A (202427A) Drum for 1” Bore 20/30 Series Comet Industries Drive Clutch. > Comet 219560A Drive Clutch. 1" Bore. Comet Industries 219560-A Driver for 20 series. Comet 219560A Drive Clutch. 1" Bore. Comet Industries 219560-A Driver for 20 series. Symmetric 3/4" Top Width Drive Belt System. 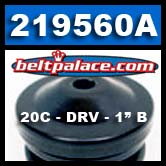 Replaces 20C Comet Industries Drive. 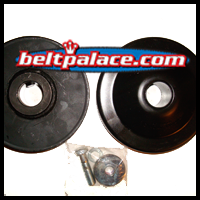 Pair with Comet Industries 21D-6 Driven Clutch or Comet Industries 21D-7 Driven Clutch.